PORTLAND, Ore. – April 11, 2017 – Omission Ultimate Light Golden Ale is a nationally available light craft beer specially crafted to remove gluten. 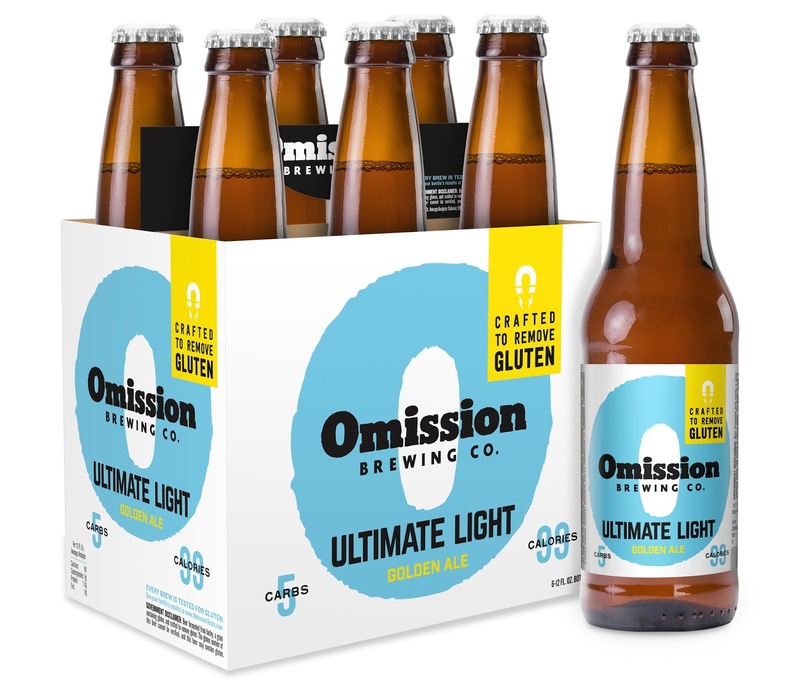 A mere 99 calories and 5 carbs per 12-ounce beer, Omission Ultimate Light is the perfect choice for beer drinkers who are looking for a lighter option but still want to enjoy the full flavor of a delicious craft beer. Like all Omission beers, Ultimate Light Golden Ale is brewed with traditional beer ingredients and crafted to remove gluten. At just 4.2 percent ABV, Omission Ultimate Light is a sessionable golden ale with a distinctive hop aroma and flavor and a clean finish that leaves you wanting more. While Ultimate Light can be enjoyed year-round, its low alcohol content, super-light calorie-carb combo, and golden hue make it a perfect beer for summer. Founded in 2012, Omission Brewing Co. is the first craft beer brand in the U.S. focused exclusively on brewing great-tasting beers with traditional beer ingredients, including malted barley, that have the benefit of being specially crafted to remove gluten. Ultimate Light joins an award-winning, best-selling lineup of beers crafted to remove gluten that includes Omission IPA, Omission Pale Ale and Omission Lager. Omission Ultimate Light Golden Ale will be available nationally in six-packs of 12oz bottles. For additional information on Omission Brewing Co., visit omissionbeer.com and follow Omission on Instagram, Facebook, and Twitter. Omission Ultimate Light Golden Ale is smooth and easy drinking, and full of flavor. Citrusy hops and a clean finish at just 99 calories and 5 carbohydrates give active lifestyle drinkers the perfect choice to turn to when reaching for a beer, whether post-workout, at home or out on the town. Plus, like all Omission beers, Omission Ultimate Light Golden Ale is crafted to remove gluten, making it the ultimate light beer. Founded in 2012, Omission Brewing Co. is the first craft beer brand in the U.S. focused exclusively on brewing great-tasting beers with traditional beer ingredients, including malted barley, that are specially crafted to remove gluten. Each batch of Omission Beer is tested independently using the R5 competitive ELISA test to ensure that it contains gluten levels below the U.S. FDA gluten-free standard of 20ppm or less. Omission's line up of beers is the most awarded within the gluten reduced segment, and includes Omission Lager, Omission Pale Ale, Omission IPA and now Omission Ultimate Light Golden Ale.